Receive your copy of Strong & Lean when you subscribe today! Kerry has been on a long journey of health and wellness starting with massage therapy. As the area's most sought after massage therapist she has assisted numerous people with back, neck, and shoulder ailments. She attended the Onondaga School of Therapeutic Massage in Rochester, NY where she graduated valedictorian of her class in 2004. She soon obtained certification in infant massage therapy to help combat the negative effects of stress on the skeletal system from the beginning of development. After years serving in the Victor community she found that stretching alone was not enough to help her clients tame their tension. From this Structural Body Systems (SBS) was born. 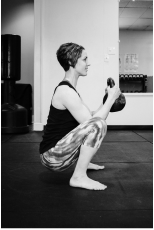 Kerry took the concept of physical therapy a step further by looking at the whole body and, as a Strong First Instructor, using the kettlebell for strengthening. Since it mimics the body's natural movements clients are able to truly combat their pain issues without fear of recurrence. 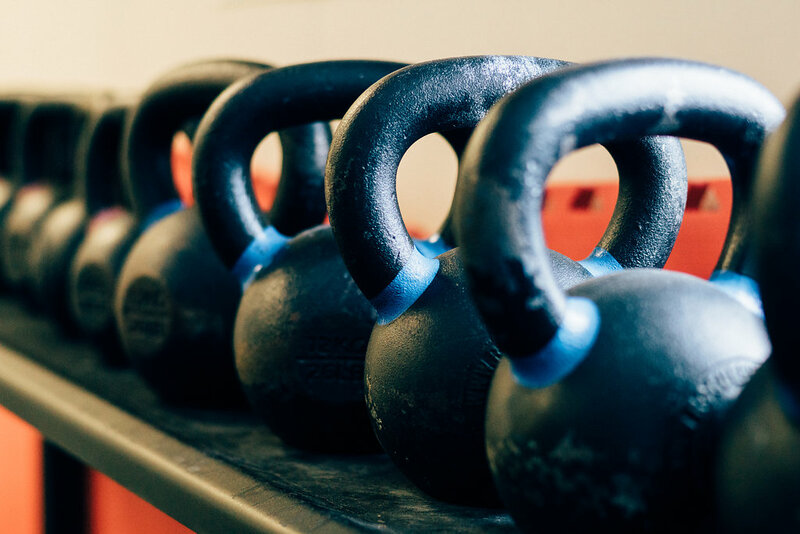 Dubbed the "Beast" for his insane strength during grappling matches, Greg Davis is owner of Victor Kettlebell as well as the strength & conditioning specialist. 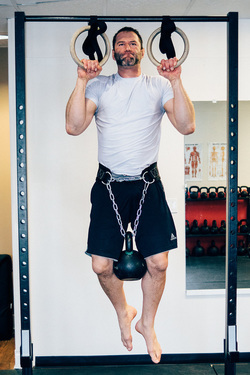 Greg's experience ranges from Olympic lifting to kickboxing and is a Strong First Kettlebell Instructor. He received his black belt in jiu jitsu from Strike Back Martial Arts. If you are interested in MMA (mixed martial arts), Greg Davis is the area's leading stand up specialist. His extensive knowledge of kickboxing coupled with years refining technique have resulted in the most dangerous man since Chuck Norris. Greg is notorious among clients for helping them discover strength they never knew existed. With over 5 years' experience in personal security and self protection, Bryan comes to Victor Kettlebell & MMA as the lead Self Defense Instructor. His journey began with combative arts which grew his passion for mixed martial arts in which he continues to train and expand his knowledge and understanding of. Eventually Bryan found his niche in weapons defense and close quarters combat, specifically knife defense. Not only does he have experience as a Personal Security Detail, Bryan is also a NYS certified security guard and received his training from Black Hawk Academy.